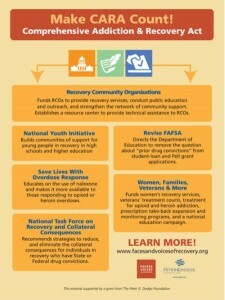 The Comprehensive Addiction and Recovery Act (CARA) of 2015 is the most expansive federal, bipartisan legislation to date for addiction support services, designating between $40 million and $80 million toward advancing treatment and recovery support services in state and local communities across the country, which will help save the lives of countless people. The bill was first introduced in September 2014, and then reintroduced in the 114th Congress in February 2015. The bill was introduced in both the Senate and the House of Representatives, and is currently sitting in the Senate and House Judiciary committees, as well as the House Education & Work Force and Energy & Commerce committees. CARA needs your support as it moves forward through the legislative process! We urge you to get into action and contact your Senator and Representative today and urge them to co-sponsor and support CARA! 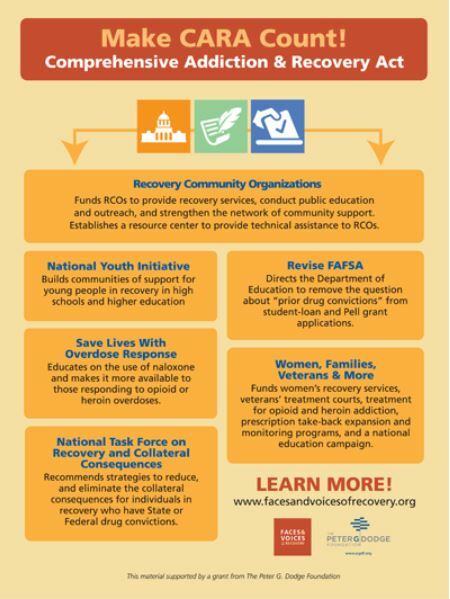 If the Comprehensive Addiction & Recovery Act of 2015 is going to become a reality in 2015, key members at relevant House and Senate committees are needed to co-sponsor the bill. In the Senate, CARA (S. 524) has been referred to the Senate Judiciary Committee. Currently, 12 Senators have signed on as co-sponsors of S. 524. Without support from additional members of the Judiciary Committee, the bill will not advance. In the House, CARA (H.R. 953) has been referred to three Committees or Subcommittees. They include: The House Judiciary Committee, Subcommittee on Crime, Terrorism, Homeland Security, and Investigations; the House Energy and Commerce Committee, Subcommittee on Health; and the House Education and the Workforce Committee. Currently, 9 Representatives have signed on as co-sponsors of H. 953. 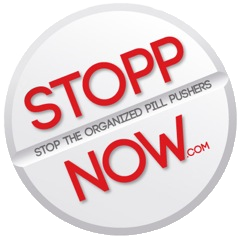 Support Stopp Now and look good while doing so! 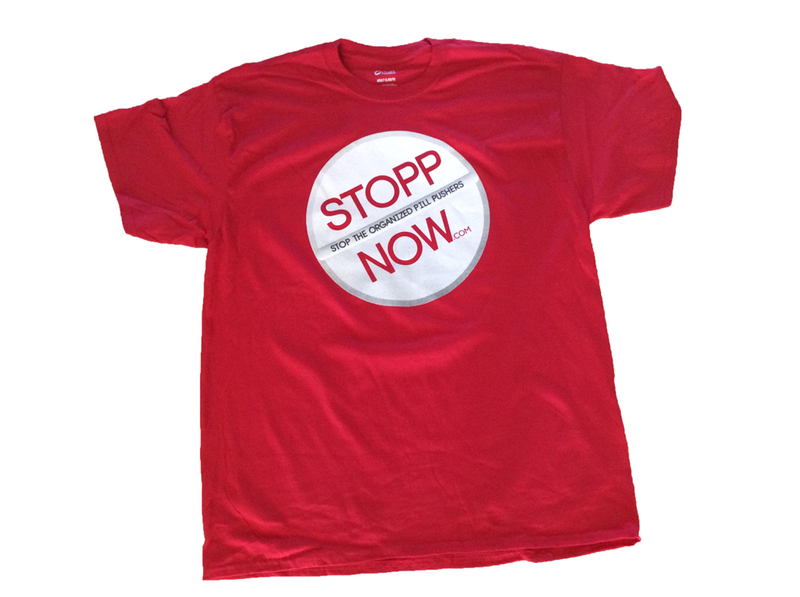 Click the picture below to get your stopp now T-Shirt for a $25 donation!